The 48th annual meeting of Tobacconist Association of America (TAA) retailers has now come and gone, bringing a suite of new and exclusive cigars for you, the hungry cigar enthusiast! For the 5th year running, La Flor Dominicana has introduced a special offering for TAA members and, following their strategy from 2015, they allowed retailers to vote on the new cigar’s size. Options ranged from a robusto, to toro, to gordo, but in the end it was a 6x54 Toro that you see today. 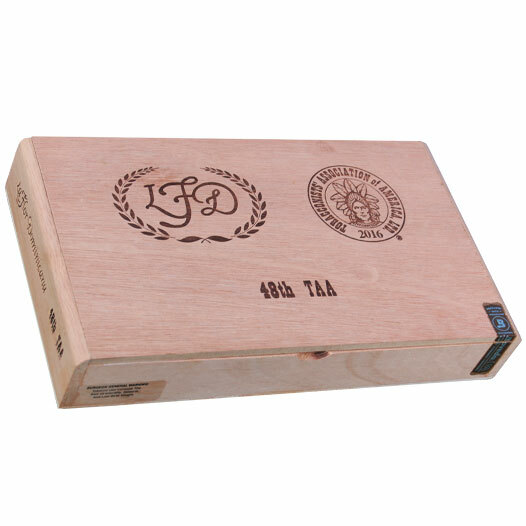 La Flor Dominicana TAA 48 is a big and hearty stick, utilizing a new blend of Dominican fillers and Cameroon binder, finished with a gorgeous Mexican San Andrés wrapper. At under $10, the cigars are practically a steal—featuring over 1.5 hours of smoking enjoyment—with rich flavors that captivate from start to finish.